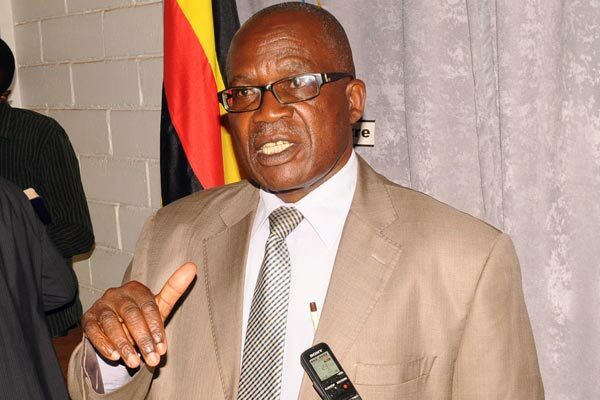 KAMPALA – The ministry of public services has Thursday, March 28 tabled before the parliamentary committee on public service and local government a list of proposed 30% salary enhancement of all public servants for the financial year 2019/20. The list given out to the committee by the minister of state for public service David Karubanga indicate an increase of primary head teacher salary from 814,000 shillings to 1 million shillings, graduate science head teacher for secondary school to earn 1.6 million shillings and arts head teacher earning 1.6 million shillings. The permanent secretary in the ministry of public service Catherine Bitarakwate Musingwiire said this salary review among head teachers came after parliament complained of a gap between the arts and science teachers. According to the breakdown, in the Judiciary, the Chief Justice will receive Shs20M, his deputy Shs19M while justices of the Supreme Court are set to receive Shs18.2M, Principal Judge Shs17.9M, while the 12 court of Appeal Justices will walk away with Shs17.6M. In the education sector, Head Teachers are going to have their salary increased from Shs1,690,781 to Shs3M with further projections indicating that these will walk away with shs10M monthly in the near future. Deputy Headteachers are going to be paid Shs2.220M from the Shs1.550M they were earning teaching secondary schools. Their counterparts in primary schools will also smile to the banks with head teachers set to earn Shs1.050M from Shs814,011 while the deputy ehad teachers aren’t going to receive any increment. The Accountant General who has been earning Shs3.419M is going to earn Shs5.4M and the same increment will be witnessed by Deputy Secretary to Treasury who was unlucky not to witness any increment yet the Secretary to Treasury had his salary increased from Shs3M to Shs15M in 2016. The Commissioners are set to receive Shs3.6M up from the Shs2.3M they have been receiving. The Police Force hasn’t been left out in the salary bonanza with the Sergeants set to earn Shs540,587 from the Shs440,587 they have been earning. On the other hand, District chairperson to earn Shs2.8M from Shs2.3 million and deputy is to get 2.1 m from Shs1.1m, district speaker will bag Shs1 million as municipal mayors will continue earning Shs1.1 million and sub-county chairpersons to get Shs500.